Chassis that can add an adapter to form a double stroller. That make us easier when going to a day trip to theme parks or zoo. Love it. ProsIt has a large tray underneath and added 2 zippers left and right in the front so that we can easily place and take out stuffs from the bottom either way. 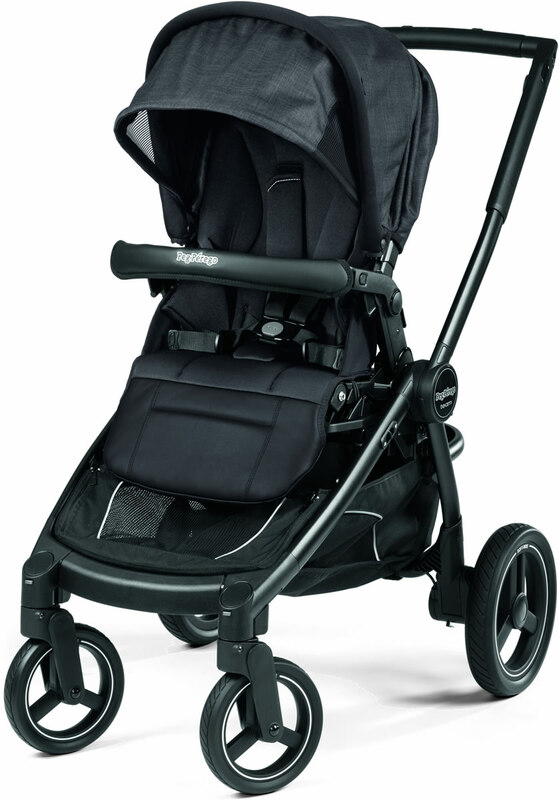 The Peg Perego Team stroller transforms into the ideal double stroller, car seat carrier or baby carriage to adapt to your family's needs. The reversible seat allows baby to face you or explore the world, and reclines deeply for naps on the go. 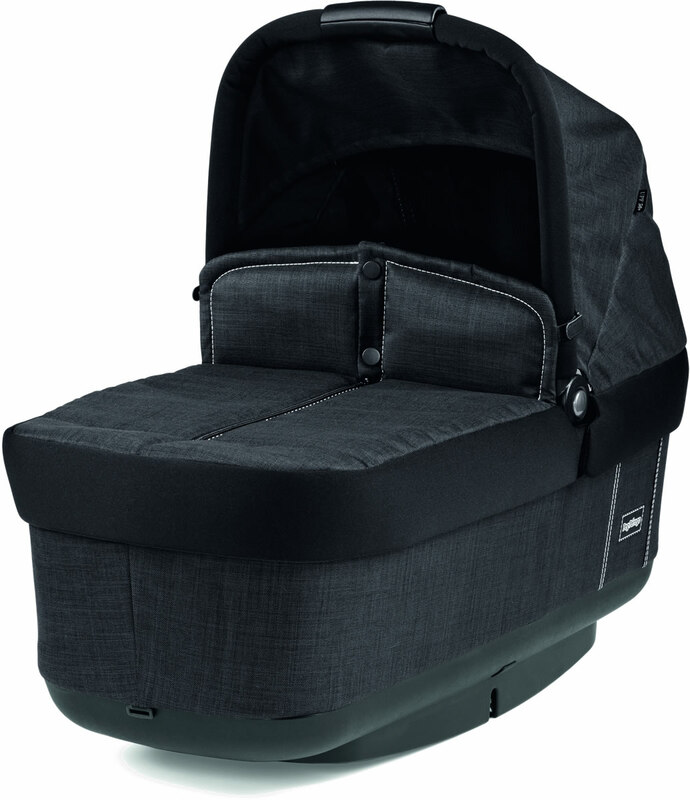 The included bassinet is suitable for overnight use, includes an adjustable headrest, and folds compactly for easy storage. The innovative design allows for quick, easy and compact fold in both rear and forward facing positions. 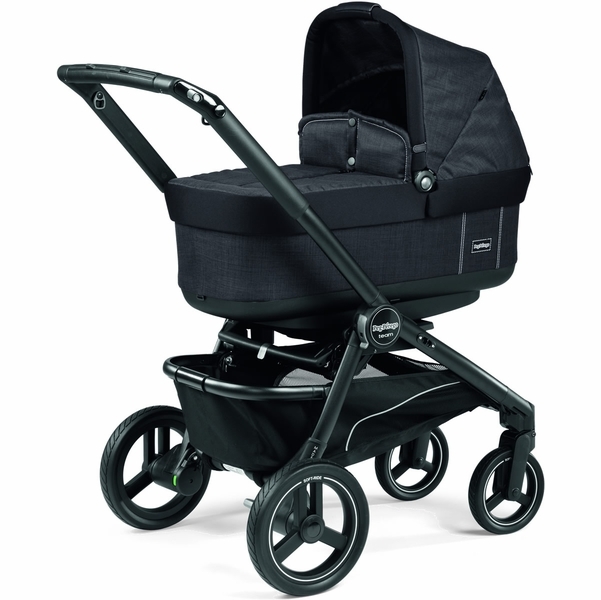 Introducing the Team, the latest innovation in strollers from Peg Perego, for new parents-to-be that are looking for the best single stroller to enjoy their parenthood journey without limitations and for families that are considering a stroller that upgrades to a double stroller. The Team is the stroller for families with ever-changing needs. 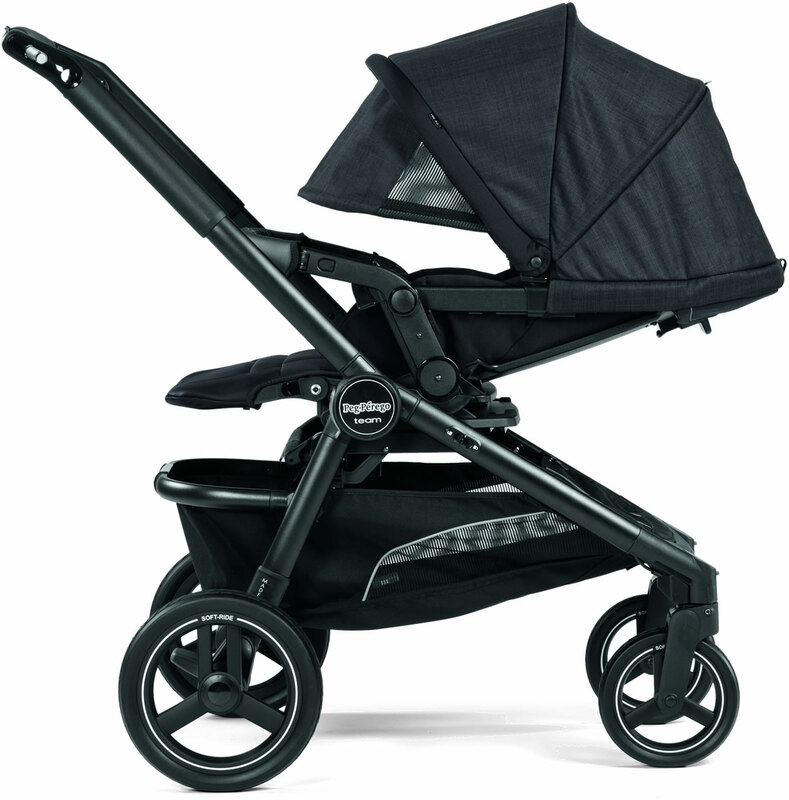 As your family grows, the Team stroller adapts without sacrificing the features that make it an amazing single stroller. The Team features a modern look with an elegant sleek frame, large polyurethane tires and a large basket sized to fit all of life's essentials. 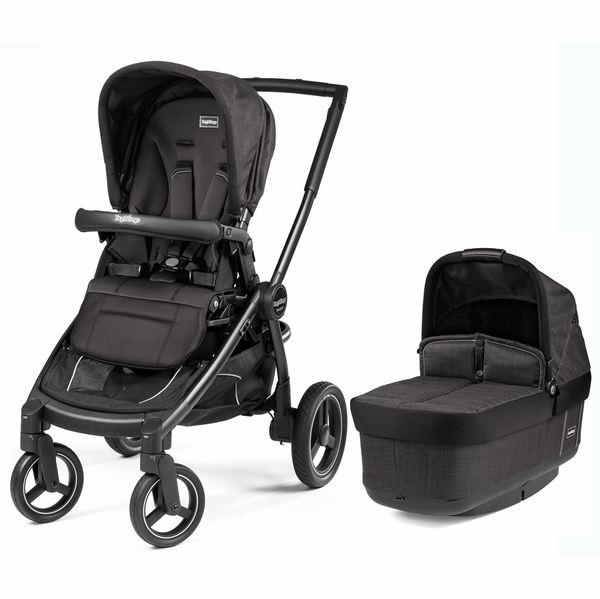 The seat is reversible (allowing child to face you or the world ahead) and has an extra-large UPF 50+ canopy to keep little ones protected from the elements. 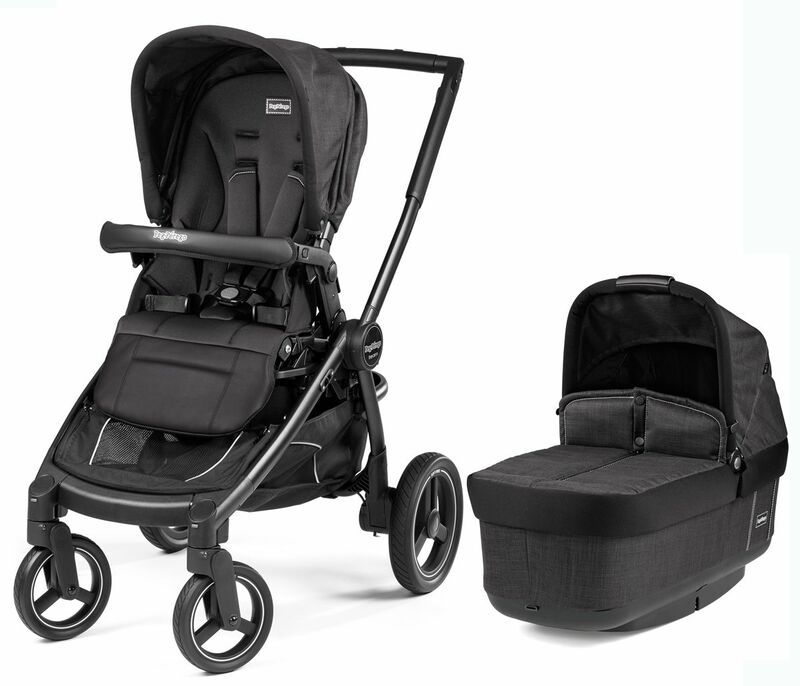 Along with its incredible versatility, the Team stroller has easy one-step folding with the seat in either rear or forward facing mode. For your newborn, the Team stroller comes with a beautiful bassinet, rated for overnight use, so baby can slumber comfortably. The bassinet also has an adjustable head rest (this helps to prevent acid reflux in infants) and folds compactly. 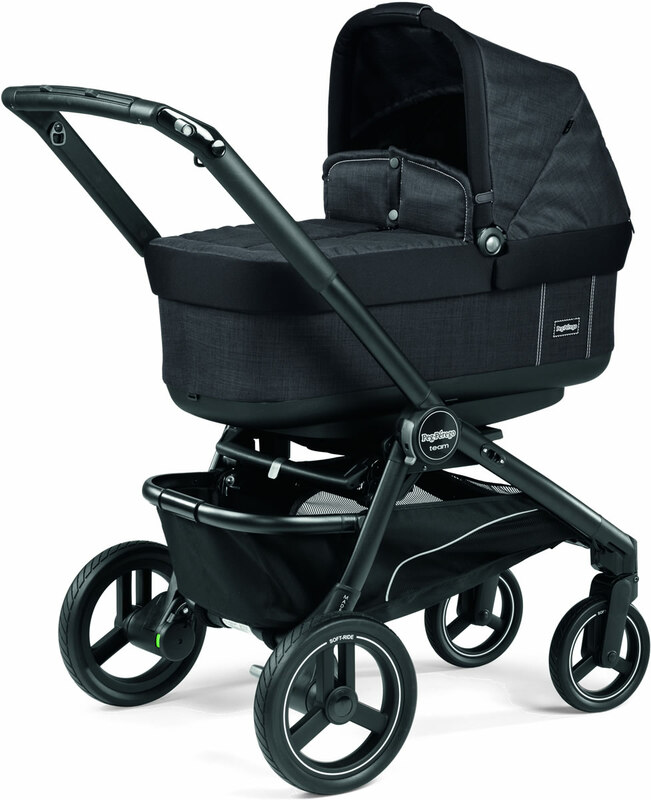 Our much-loved G-Matic anchors allow you to dock the bassinet, seat and Primo Viaggio infant seat directly onto the chassis without the need for adapters. Turn the Team into a double stroller with the Team Adapter (sold separately). The adapter lets you have a double stroller using your existing components (bassinet + seat or seat + infant car seat) so there is no need to buy the second seat right away. The second seat for the Team is just that – a second seat (not a jumper) that is the exact same as the original seat in the stroller. Both seats are equipped with Comfort Recline, which means the seat and backrest slide open, creating a comforting resting angle for the baby. Each seat can hold a child up to 50 lbs, and lets littles face you, the world or each other. Grows with the Family: Team chassis can hold up to two children by adding the Team Adapter (sold separately). 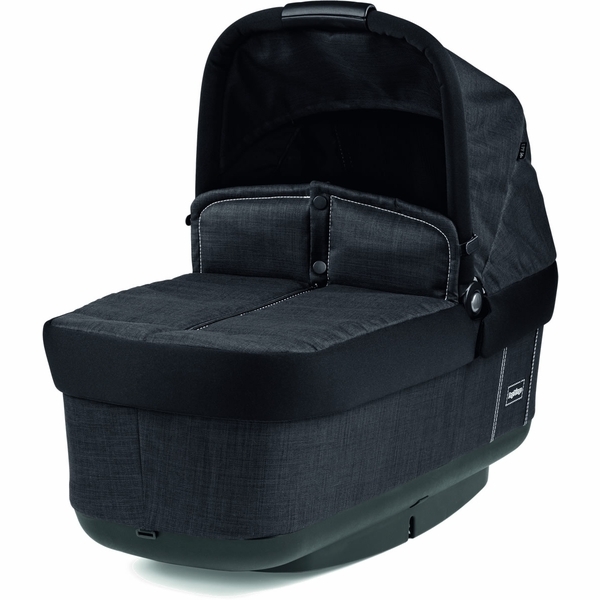 Folding Bassinet: Includes a bassinet that has a unique folding and opening feature and can even be folded while attached to the chassis. 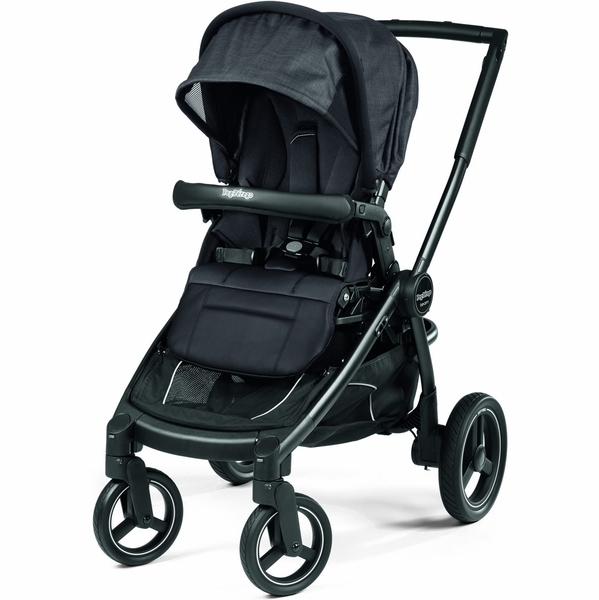 Second Seat: With the Team Adapter, the stroller holds a second seat the exact same size as the first. Seat can hold up to 50 lbs. Reversible: The seat can be switched to face parent or the world ahead. 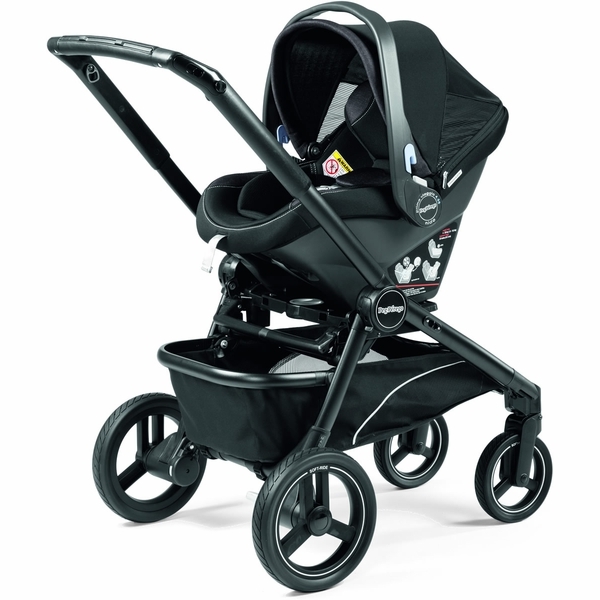 Travel System: Primo Viaggio infant car seats attach directly onto the chassis – without the need for adapters. 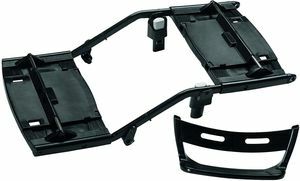 Easy Close: Innovative design allows for quick, easy and compact fold in BOTH rear and forward facing positions. 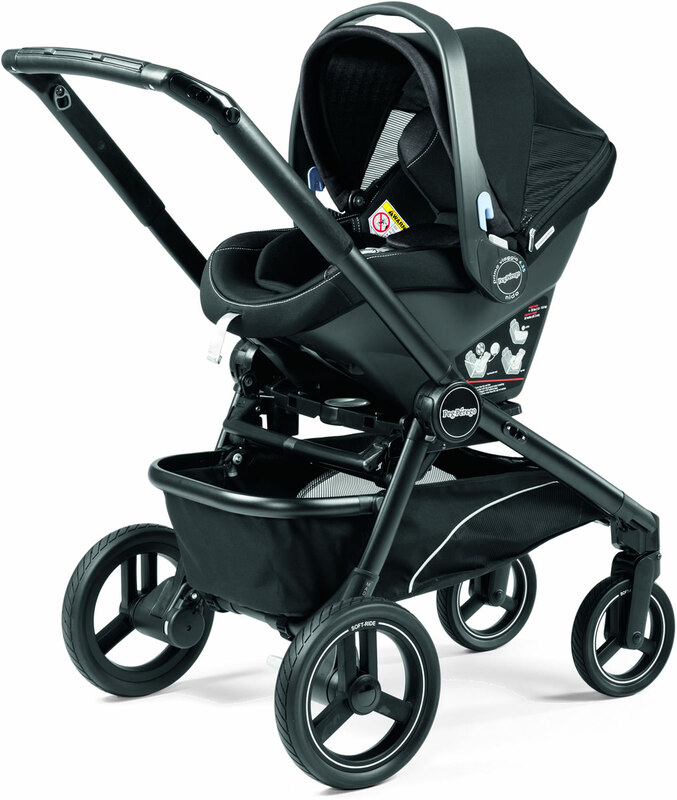 Soft Ride: Large polyurethane wheels with ball bearings and suspension allow for 360 degree agility, less effort in pushing and more comfort for baby. 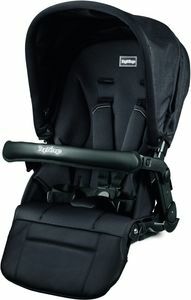 Comfort Recline: Seat and backrest slide open creating the most comfortable resting angle for baby, unlike in other common seat reclines where the hip angle remains the same. One-Piece Handlebar: Allows for easy push with just one hand. Telescopic Handles: Height adjustable handlebar outfitted in our “Prima Classe” material can be modified to fit each parent’s height preferences. Remote Front Swivel Control: Allows parents to swivel or straighten wheels without having to bend over and touch front wheels. Large Hood: Keep your baby protected with the large hood that includes a UV protected visor and a mesh insert that provides extra ventilation. Bumper Bar: Front bumper bar hinges open for easy access to child. Outfitted in "Prima Classe" material. Basket: Large, practical and easy-loading storage basket that holds all of the necessities. Fashion Forward: Upholstered with a variety of fashionable collections, in materials that will keep child comfortable. Made in Italy: All Peg Perego baby products are Made in Italy. From concept, to creation, every step in the process is performed by Peg Perego and no one else. Stroller - Folded: 15.75" x 24.5" x 31"
Bassinet - Folded: 32.75" x 9"